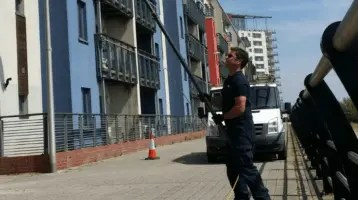 The Cardiff Window Cleaning Company Ltd.
Local family run business providing superior cleaning of windows, gutter cleaning and pressure washing. All services are available to both commercial, retail and domestic customers. Providing window cleaning in Cardiff, Swansea, Newport & South Wales. Established in 2001 we ensure adherence to the latest and highest quality standards in the industry. Our team of uniformed cleaners are highly experienced and accredited. We are Safe contractor approved and fully insured. The satisfaction of our customers is absolutely paramount to us, and much of our work is based upon referral and recommendation. We work with a broad spectrum of clientele, which includes but not excluded too; facility management companies, local residents, property management and local authorities. Whatever needs to be cleaned, we are certain to have the solution for you. So contact us today for a FREE site survey and no obligation quotation. We look forward to working with you. 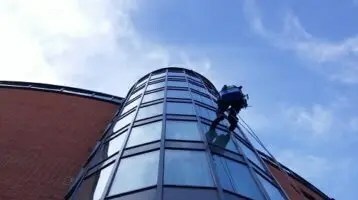 We are proud to have our own team of IRATA trained and qualified rope access technicians.Our abseil window cleaning team adhere to strict…. Covering all aspects of commercial cleans ranging from high office buildings and retail premises too hospitals and schools. We are fully…. 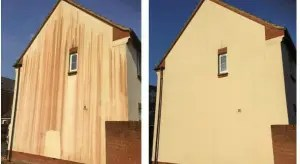 Overtime render will start to show signs of environmental pollution.We can clean your render or K Rend using the latest soft washing techniques……. As a proactive company we always are on the look out for new potential cleaning projects. The continued growth of the company has meant a second registered office in Newport. This latest acquisition has enabled us to enhance our coverage of the South West and Bristol areas of Wales and the UK. The rapid advancement of technology enables us to use the latest purified water pole systems from ground level. When it comes to high level access, we have that covered too. Our abseilers will ensure a thorough and safe clean of your building or property. So if your looking for a reputable, reliable, cleaning contractor, then rest assured we are on hand to take care of everything.